Chase Resourcing’s guide to working in Kuwait! If an opportunity arrives for you to accept a job opening in Kuwait, Go for it! Every year the country’s huge oil reserves and the number of job opportunities attract thousands of foreigners every year . There are loads of job opportunities across varies different disciplines. Our guide has info on work permits, taxes, accommodation and medical care! Job opportunities in Kuwait are not an issue with only a 3% unemployment rate being one of the lowest across the world! That along with a gross domestic product of over 123 billion USD in 2015, its clear to see that the importance of Kuwait’s economy far surpasses its small geographical size. Kuwait has a wealthy and fairly open economy which mainly relies on the country’s immense oil resources. Any graduated expatriates with skills are snapped up and welcomed with opening arms due to the large demand for employees. 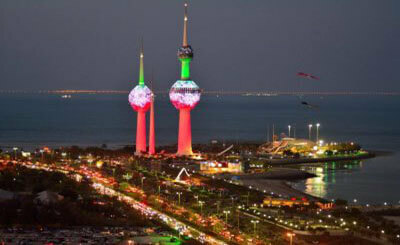 All expats seeking change and a new challenge travelling to Kuwait need to register for a work permit before they can start any employment in Kuwait. The only exceptions to these work permit rules are Gulf Cooperation Council (GCC) member states. Work permits are only issued if the expat has a valid employment offer and the necessary skills to fill the role. While in Kuwait the employer then acts as a sponsor for the expatriate during their stay in Kuwait. Not always a easy job for employers as they are in charge of many issues and handle things such as administrative work including visa applications and the opening of bank accounts. Very important to remember your sponsor is also responsible for you as long as you are resident in Kuwait and liable if you violate any regulations! Across the world taxes are a massive source of income for many governments. However due to Oil revenues being a large financial part of Kuwait’s extensive government spending the need for taxes as a form of government income are minimal. As such, there are no personal taxes, not even for expats working in Kuwait. Income taxes are in existence for foreign companies working in Kuwait. The corporate income tax rate for foreign businesses currently is a flat 15%. Kuwaiti-owned businesses are exempted from any such taxes. There is no value-added tax, either. However, there have been discussions about introducing it. With the average salary in Kuwait being KD 800 for working professionals with minimal taxes it’s a fantastic opening for anyone looking to save money. There is a very effective social security system in place in Kuwait that covers pensions, disability, and sickness benefits, as well as free public healthcare .These social security are also financed by the system and cover Kuwaiti nationals working in Kuwait. In recent years, there has been increasing pressure on foreign companies to provide private health insurance for expatriates working in Kuwait in order to reduce the burden on the public system. Kuwait provides a very well respected public healthcare system that provides free or low-cost healthcare to all its residents. In addition, expatriate are usually offered private healthcare plans as part of their employment package by employers. Vaccinations and pharmacies are quiet similar to those of other countries. Vaccinations are seen as necessary requirements and are available free of charge at public clinics. Pharmacies are usually well equipped, though they may sell medication under different names than you are used to. Rental rates do not follow logical rules in Kuwait. There are no guidelines, and you will often find truly unappealing places at unrealistic rates, and yet they still get rented. This is due to the high demand, and low supply of apartments. Fully researching accommodation before arrival would be a good idea! Kuwait really is an exciting prospect for anyone looking to experience something new while seeing an amazing part of the world! If the opportunity arises to live and work in Kuwait, go for it! It’s a massive opportunity to experience a new culture while also saving money! Article taken from Inter Nations.